Swagbucks.com is owned by Prodege LLC, a California-based company that specializes in promoting Websites by building online audiences and increasing traffic. Swagbucks.com was conceived and co-founded by Josef Gorowitz and Scott Dudelson and was first launched in 2008. Swagbucks.com evolved out of some of Prodege’s earliest web marketing platforms and successes. The company’s first endeavor was a platform from which independent and private label search engines could market themselves. On the receiving end of a share of the profits were charities that wanted to raise money. Whenever a consumer used the search engine, a charity would receive a donation. Capitalizing on the success of the its first project, Prodege went on to develop a search loyalty product on which celebrities, sports teams and brands could engage an audience of followers. Each participant provided its own reward program, and consumers benefited in the form of prizes by using the forum consistently. Swagbucks was created using the best and most successful components of Prodege’s first two forums. It was greatly expanded to include dozens of different products, brands, retailers, offers and rewards. Today, consumers can choose rewards and offers from more than 60 different providers and can even conduct activities online that will benefit their favorite charity organization. In this Swagbucks review, we will cover every aspect of the opportunity so you can get a complete picture of what you will be getting into if you join the program. This Swagbucks review is 100% unbiased as we are not an affiliate of the program as most reviews you see online. This means we get no compensation if you join which means you can trust our Swagbucks review. Swagbucks is an online company that offers rewards to its members in exchange for conducting specific activities online, including shopping with designated retailers, filling out surveys, signing up for email alerts, playing games, visiting Websites and viewing specific Web content. Rewards are given to members in the form of gift cards, usually from popular shopping venues (both on and offline) including Amazon and WalMart. The premise behind Swagbucks.com is that many people are already spending leisure time doing online activities like surfing and playing games. 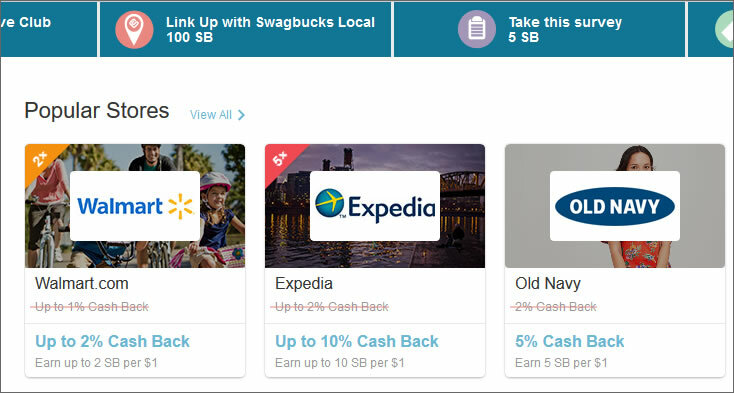 Swagbucks.com simply takes advantage of this fact by offering consumers the opportunity to capitalize on that leisure time in a way that financially benefits the consumer, the operators of Swagbucks.com and the retailers and restaurants which participate in the the program. Membership on Swagbucks.com is open to anyone over the age of 13. It is free to join. Users need only provide their name and email to join. 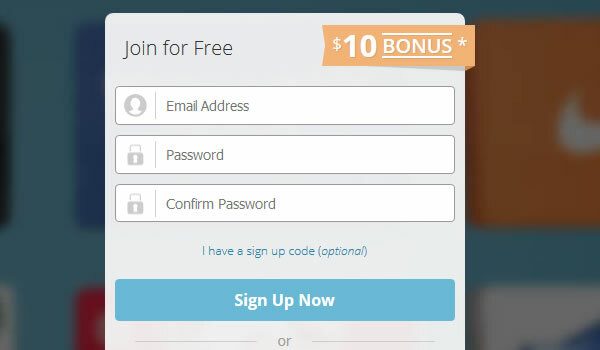 There are further opportunities to provide more in-depth personal information, but users are not required to do so when joining Swagbucks.com. Once a visitor becomes a member, he is able to choose from a variety of online activities to participate in. The list includes playing games, watching videos, making purchases on member websites, viewing ads, filling out surveys and entering contests and sweepstakes. Other miscellaneous ways to earn Swag Bucks include getting others to become members (referrals) and adding the Swag button to your browser. There are also occasional special or feature challenges that you can complete. 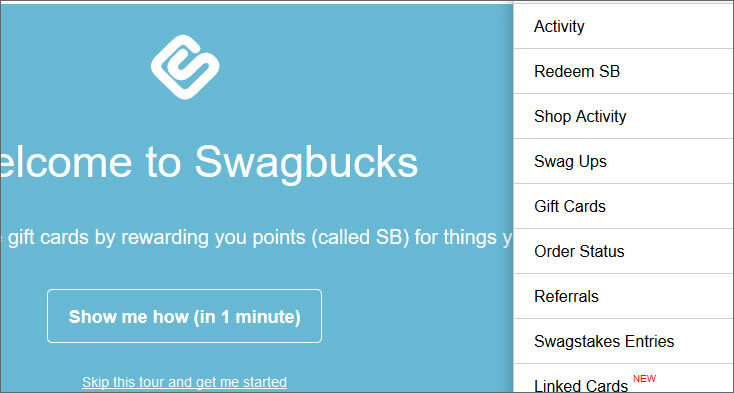 Every task or challenge that you complete has a “SwagBucks” value attached to it, which is typically noted as “SB” and then the number of SwagBucks you can earn. You can use the SwagBucks that you collect to trade in for prizes with monetary value, usually in the form of gift cards or a deposit of a particular sum of money into your PayPal account. Each Swag Buck translates into approximately one cent on the US dollar. Swagbucks.com occasionally offers specials or sales where your Swag Bucks end up being worth more than one cent. HOW MUCH CAN YOU ACTUALLY MAKE? So what can you actually get by spending your Swag Bucks? As we already mentioned, you can opt to have cash dropped into your PayPal account. At the time of publishing, 2500 Swag Bucks could buy you $25 in cash, deposited into your PayPal account. You can also opt to take your “cash” in the form of gift cards. Swagbucks.com currently offers gift cards in a variety of values to Amazon.com, Steam, Starbucks, Bath & Body Works, JC Penney, Barnes & Noble, iTunes, Facebook games, Bass Pro Shops, Indigo, Kelsey’s, Eastside Mario’s, Casey’s, Montana’s, Swiss Chalet, Milestones, Pier Market, Shutterfly, Cineplex, L.L. Bean, Hudson’s Bay, Groupon, Aerie, Rixty, PlayStation Store, Land’s End, The Gap, Old Navy, Banana Republic, Champs Sports, Groupon, Footlocker, American Eagle Outfitters, Kernels Popcorn, Roots, Jack Astor’s, Red’s Bistro and Wine Bar, Alice Fazooli’s, Petite Four Bakery, Scaddabush, Canyon Creek Chophouse, Dukes Refresher Bar, Far Niente, Four and others. Plus, new retailers, restaurants and service providers are added from time to time. Denominations/value of the gift cards start at five dollars and run up to about $100. The most common denomination available across the list is $25. However, not all retailers offer all of those denominations. If you’re more of a philanthropist, you can choose to spend your SwagBucks on donations to a variety of charities. The list includes The Wounded Warrior Project, Save the Children, the Breast Cancer Research Foundation, Unicef, Action Against Hunger, Direct Relief, Doctors Without Borders, the ALS association, The Smile Train, Magen David Adom and several others. You can donate to some of these organizations for as little as three Swag Bucks. Once you have earned enough points, you simply click on the “Redeem your SB” link (found along the left sidebar of the home page) and choose your gift card or charity. Most every gift card can be redeemed online and comes as an “e gift card.” Many can be redeemed at the retailer’s brick and mortar store too. In this case, you would receive your gift card by mail. One of the best ways to decide whether or not a product is a valuable one is to to look at swagbucks reviews by other users. We have researched the opinions of others who have used Swagbucks.com in order to provide you with some consumer insight to give a more well rounded swagbucks review. On Sitejabber.com (a Website forum on which consumers can rate and talk about their experiences using online companies and products) they have a place for users to leave their Swagbucks review, Swagbucks.com has an average rating of more than four out of five stars, as given by more than 1,500 reviewers. Approximately half of reviewers have rated Swagbucks.com at four or more stars. Some of the most frequent comments posted by four and five-star users include “Swagbucks is my favorite app,” “Great site!”, “A fun way to earn money and gift cards,” “Easy”, “Great way to discover online content” and other positive comments. However, we also researched the comments of others who left a Swagbucks review specifically users who gave less favorable ratings to the site (two stars or fewer). 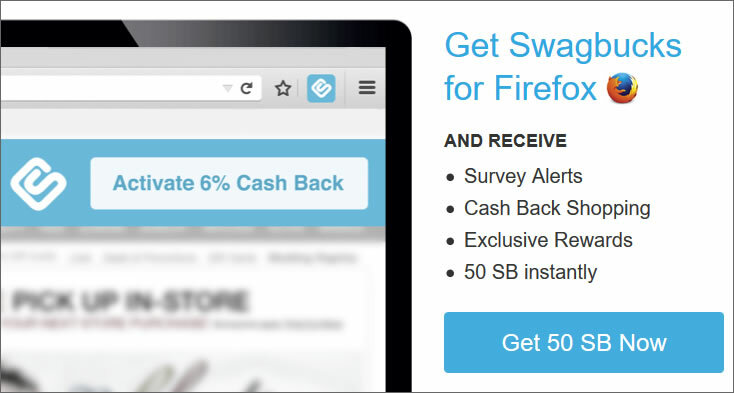 One complaint that we heard consistently from disappointed users is that the surveys offered by Swagbucks.com frequently took much longer to complete than the site suggested they would. Some users found that they would start filling out the surveys (which are generally presented to the user as one or two questions per screen and without an option to advance to the next screen unless the questions are completed), only to find out several minutes into the survey that they actually did not “qualify” to complete the survey, and therefore were not awarded any SwagBucks, regardless of how much time they had already spent on the survey. Another common complaint from users who left a Swagbucks review was that the site contained malware which infected the users’ computers. Many members who access the site using the Swagbucks.com app reported that the app sometimes crashed or froze due to bugs. (If the app crashes while you’re in the middle of completing a task you won’t end up getting any Swag Bucks for it.) Yet another issue that many of these users had in common was not receiving the SwagBucks that they were due, in spite of completing a given challenge. This seemed to happen especially frequently when making purchases through Swagbucks.com from certain retailers. This is not to say that there are not any legitimate click-and-earn sites out there. There are definitely some, but many are not. Others which are truly legitimate often exaggerate how much money you can actually earn from them. Eager would-be earners sign on, only to find out that what they are actually making from such sites is the equivalent to just a couple of dollars per hour. However, we feel confident in recommending Swagbucks.com as a legitimate way to earn extra cash from the comfort of your home. While we would not recommend relying on Swagbucks.com to provide you with a liveable income, you can actually make some decent “mad money” conducting a lot of the same types of activities online that you are probably already doing anyway. If you are one who likes to spend your down time surfing the Internet, watching videos, playing games or shopping, this is a great way to at least get something back for all that time you spend on your computer. How long it will take you to earn enough SwagBucks to purchase, say, a $25 gift card largely depends on what kind of activities you choose to partake in and how long you spend completing what is necessary in order to actually qualify for the SwagBucks. 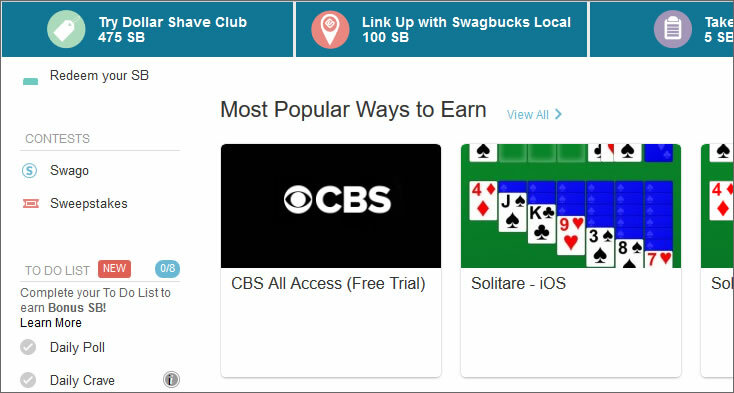 For example, many video-watching opportunities on SwagBucks.com reward you with between two and three Swag Bucks. However, in order to obtain the SwagBucks, you are required to watch the video in its entirety. Some of the videos can be half an hour or longer, and may only net you two or three SwagBucks, while others may only pay out one SwagBuck, but are short enough that the low reward is worth the time you have to spend watching. To conduct a brief, though unscientific test, we created a Swagbucks.com account. In less than one hour of use we were able to accumulate 45 Swag Bucks. We did so without having to watch any videos, take surveys or play any games (some of the more time-consuming activities on Swagbucks.com). Had we spent more time doing some of the activities that were worth more Swag Bucks, we feel we could have easily earned between 50 and 60 SB or more during that hour. At that rate, it would take about ten hours to earn enough Swag Bucks to purchase a five dollar gift card. Based on our research about the company and user reviews, as well as our little unscientific experiment, we have concluded that, unless you have no life, family or financial obligations and, therefore, can spend endless waking hours on the Internet, our advice is to choose your Swagbucks.com activities judiciously. Maximize your time using Swagbucks.com by choosing the activities that offer the greatest return on the time that you invest. In other words, if you have to choose between two activities that will take approximately half an hour to complete, choose the one that pays more Swag Bucks. We also recommend that you use caution when completing the “Discovery” offers, since a notable number of users seemed to have trouble receiving their promised SB for these. We also recommend that, if your time is limited, don’t do any surveys, since this was another area former and current members have stated take too long or waste your time hooking you then telling you that you don’t qualify. If you don’t mind taking a chance early on in your Swagbucks.com membership, try one or two surveys and just see if they pay off enough to be worth your time. If they don’t, give up the surveys altogether. 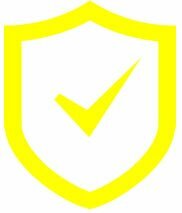 Since some users complained that the site had malware, make sure that you don’t access the site unless you have a malware-detecting program on your computer. However, it’s important to note that if you do use anti-malware software, it may actually prevent you from using parts or much of the site. One more thing: Have fun with Swagbucks.com. Just don’t quit your day job.